Ultra-light at 35 g, Petzl's BINDI headlamp fits in the palm of your hand. With 200 lumens of power, it is ideal for everyday activities and regular training around town or in the mountains. Convenient charging via USB cable. The thin headband adjusts easily and can also be worn around the neck. 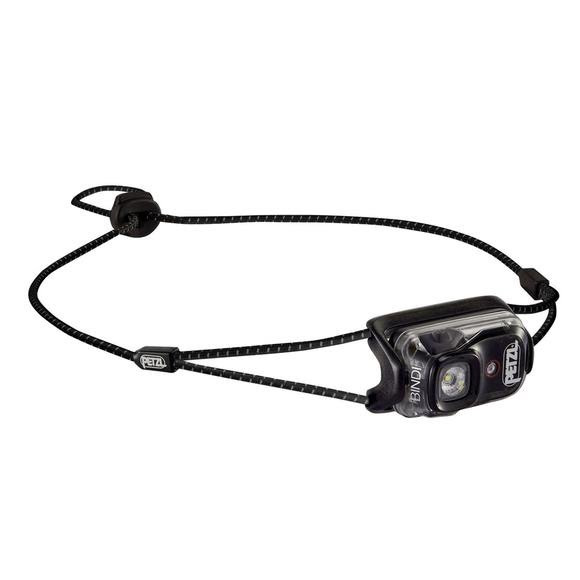 Ultra-light at 35 g, Petzl &apos;s BINDI headlamp fits in the palm of your hand. With 200 lumens of power, it is ideal for everyday activities and regular training around town or in the mountains. Convenient charging via USB cable. The thin headband adjusts easily and can also be worn around the neck.